Big Ben isn’t getting any younger. Rudolph is a good match for the Steelers. He needs a couple years to progress, and while he has a strong arm he’s not the best tight window thrower. He’ll need a strong supporting cast of AB and JuJu. 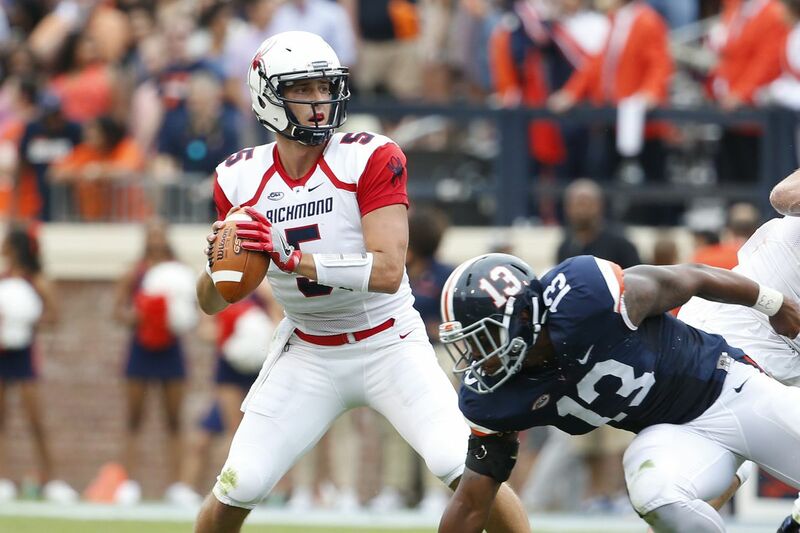 A boom or bust player who could possibly be our QB of the future. Last edited by Bucs N Beers on Mon Apr 16, 2018 9:34 am, edited 2 times in total. Just watch the tape. NCAA footballs TD receiving leader in 2017. The guy makes plays. If he was in a top conference he is a top 10 pick. With Sanders, Thomas and Milller, Case Keenum will have 0 issue finding a guy open. With the 62nd pick in the 208 NFL Draft, the Minnesota Vikings select.. The Patriots select James Daniels C Iowa. We were planning on going defense again but we could not pass up this prospect at this stage of the draft. Carlos Hyde is our starter, and we're excited about what he can do here. Duke Johnson is our receiving back. But we found ourselves without a great backup option. We did better than that here; hwe expect Johnson to challenge for co-starter and perhaps supplant Hyde in a year or two. We love his patience, vision, and burst. With the 65th pick in the 2018 NFL Draft, the Cincinnati Bengals select..
With the 66th pick in the draft the NY Giants select DL Da’Shawn Hand, Alabama. Moving to a 3-4 on defense means we need to start getting players built for the system and Hand projects as a starting 5 Tech. We continue to overhaul the front 7 on defense with the pick of Malik Jefferson who is an ideal WLB on the T2/Rod Marinelli scheme we're incorporating on defense. Jefferson is a very athletic 6'3" 240lbs LB who excels as a run & hit LB. He struggles at times in traffic, but is one of the best LB in this class when it comes to attacking the ball carrier in space. Our current LB corps in Indy needs an infusion of athleticism that Jefferson will provide. Will Chubb, Payne, and now Jefferson we very excited about the types of pieces being added to the front 7 on defense. With Jabrill Peppers in the mix at Strong Safety that is 4 new starters on defense + Mike McGlinchey at Right Tackle. 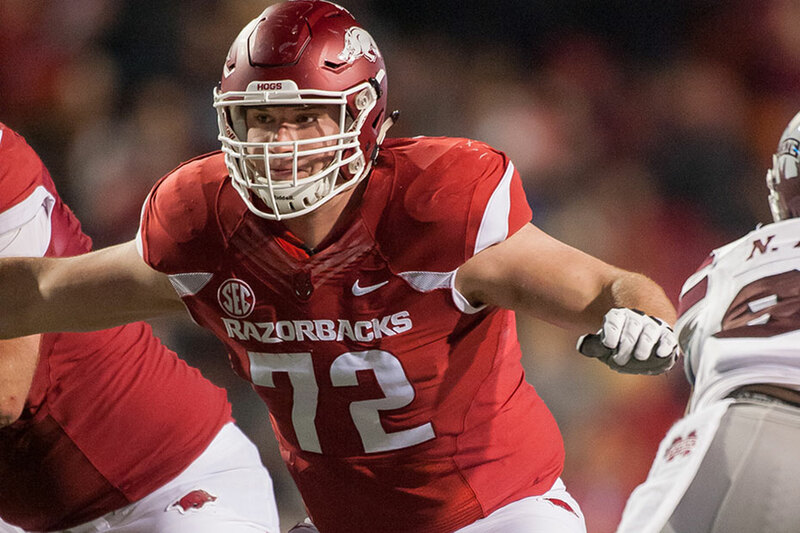 Houston takes Pitt OT Brian ‘O Neill with their first selection in the draft. We think we found a starter in the top of the 3rd. 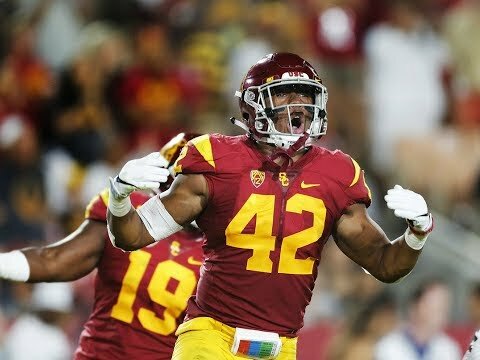 With the 69th pick in the draft the NY Giants select OLB Uchenna Nwosu, USC. Moving to a 3-4 on defense means we need to start getting players built for the system. Keeping with our USC theme, Nwosu’s best football is in front of him and we feel he can potentially develop into a good OLB in our defense. 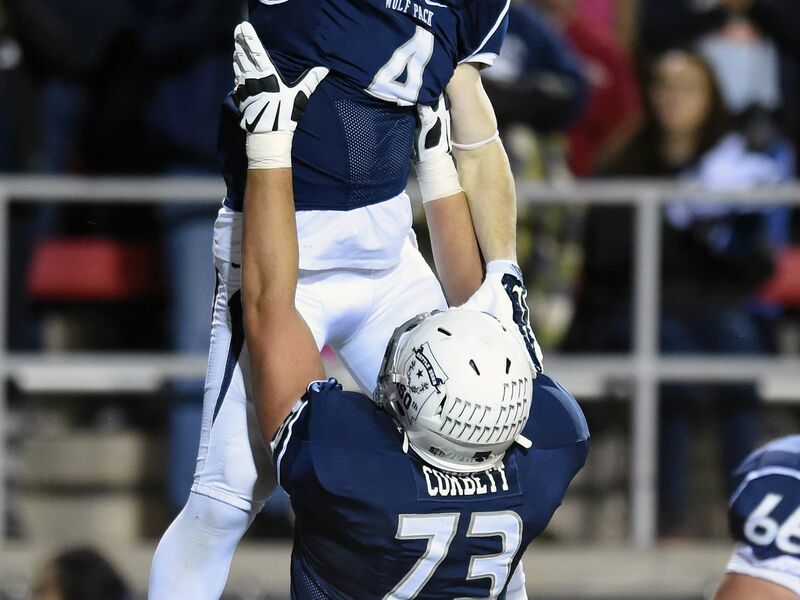 With the whatever pick of the whatever draft, the Atlanta idiots take Austin Corbett, a zero-star guard out of high school. Coincidently, zero is also the number of Super Bowls the Falcons have won. Brings the attitude and athleticism we want on D. Mean. Productive. Has room to grow into frame too. Good value here. 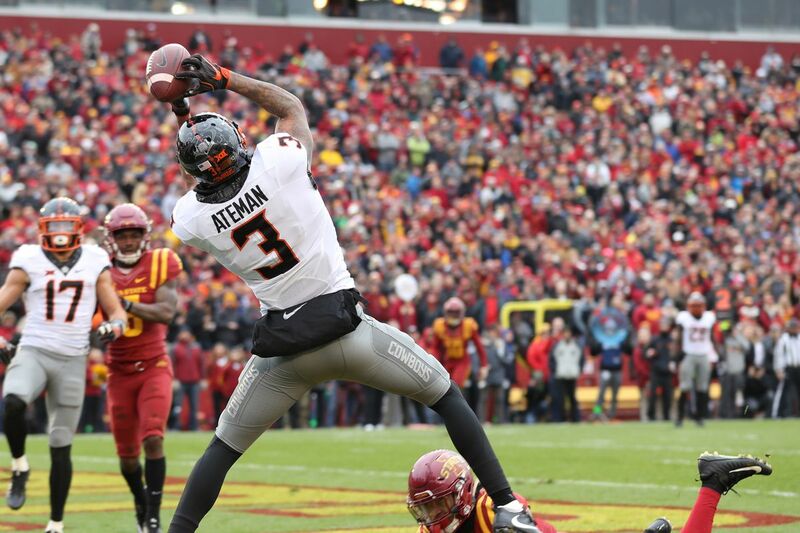 MARCELL ATEMAN, WR, OKLA ST, 6'4", 220LBS. He reminds me of VJax. Deep threat, redzone threat. Shepherd is raw, but he has the physical traits and athletic ability. He lost the underwear Olympics, but that's our gain. He's a huge coachable unit that can play. It's still unclear where he plays along the line but we need help all over the place so we'll try him in a few spots and see where he sticks. 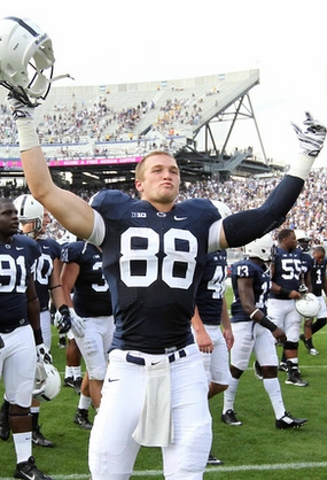 With the 80th selection, the Texans fill a major need by selecting Mike Gesicki TE Penn State. After adding help in the secondary in the previous round, the Cowboys get help at LB to help the middle of the defense. 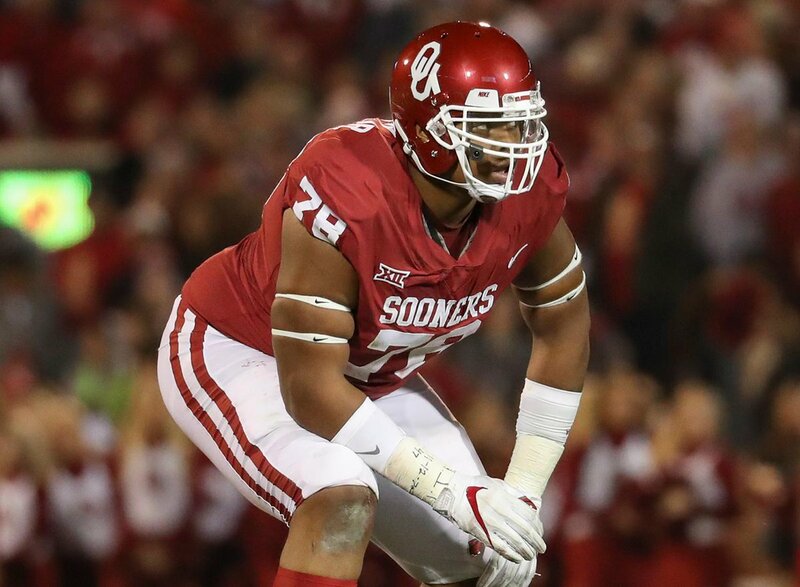 Moore is a bit undersized and has durability concerns but his athleticism is something the Cowboys need. 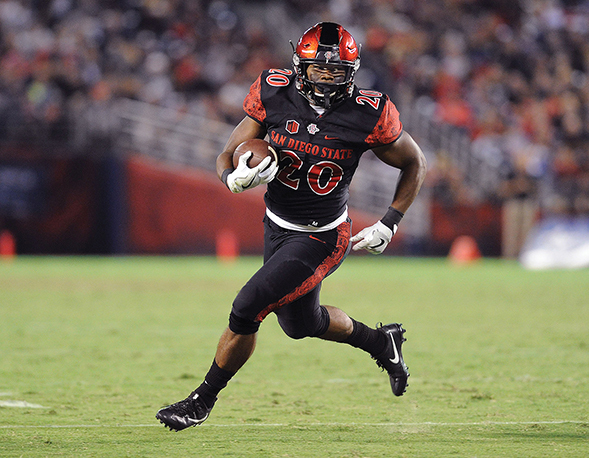 Royce Freeman, RB, Oregon, 5'11", 234lbs. With the 89th pick in the 2018 draft, the LA Rams select Kemoko Turay, Edge, Rutgers. Our team is stacked, but Robert Quinn is gone and Connor Barwin isn't coming back. We need an edge rusher who can clean up Donald and Suh's work on the inside. Turay has intriguing traits as a rusher. He has a springy first step, good hands, great speed, and an admirable ability to counter inside. He also has the chops to cover well, a rarity for a rookie edge rusher. 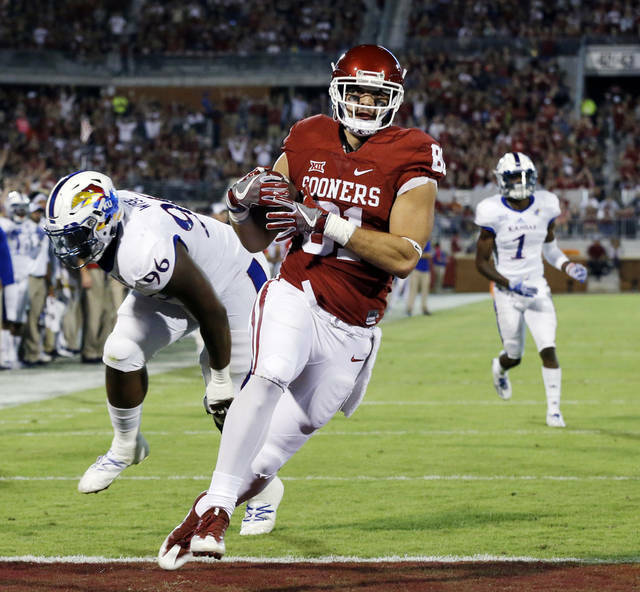 His coverage abilities will be needed, as we would make him an outside linebacker in our 3-4 defense, the shocking benefits of which you can check out elsewhere. Despite his underwhelming college production and his shoddy run defense, we think he's good value in the third round. Maybe he starts right away, maybe not. But we like his upside. 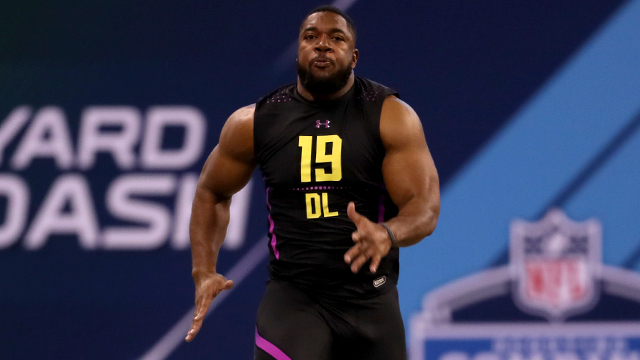 JEFF HOLLAND, DE, AUBURN, 6'3", 250LBS.